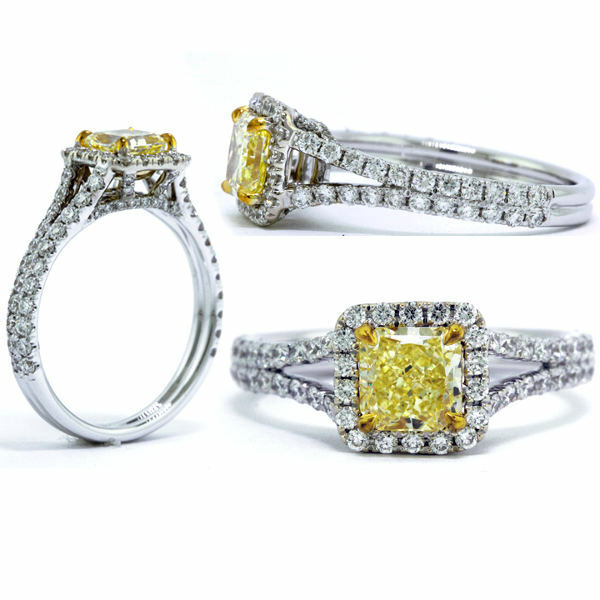 Split shank halo yellow diamond engagement ring. Mounted with a beautiful color 0.90 carat GIA fancy yellow diamond with vs2 clarity and no fluorescence along with 88 round diamonds. Ring total diamond weight is 1.62 carats.